Thibaut Courtois was left red-faced having been nutmegged in front of tens of thousands of Atletico Madrid supporters at the Wanda Metropolitano. Every Chelsea supporter on the face of this planet despises Thibaut Courtois, for good reason, too. He disrespected the lot of us by going AWOL last summer in order to force through a transfer to Real Madrid. He’s proceeded to talk ill of the club which gave him two Premier League winners’ medals since the day that he departed. We’ve had enough of him, and quite frankly, are counting down the days until his time at the top level comes to a premature end. If he continues playing in this manner, we won’t have to wait very long. 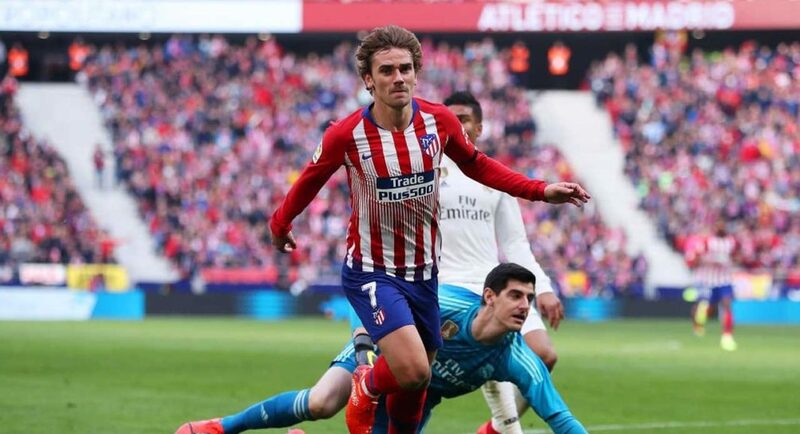 As he paid a visit to the Wanda Metropolitano to face Atletico Madrid, Antoine Griezmann embarrassed him in front of his former supporters. Courtois suffered the same fate as Chelsea were destroyed by Barcelona at the Nou Camp in last season’s Champions League. His wide frame may well be covering a great deal of the goal, but there’s a glaring opportunity for the opposing striker to find the back of the net through his legs. They’re like the Dartford Tunnel when open wide.